When Bonhams announced its largest ever Rare and Fine Wine and Whisky auction earlier this year, it was immediately tipped as one to watch, and the auction did not disappoint. On Friday 16th November in Hong Kong, various rare and old bottles of Scottish and Japanese whisky went under the hammer, the highlight being a record breaking American Hogshead Cask from the Macallan Distillery. It was a 1996 cask, at 22 years old, which sold for HK$3,430,000 (US$437,861 / £342,271) to an absentee bidder. The cask sale surpassed expectations, far exceeding the original estimate of HK$2,200,000 to HK$2,800,000. It set a new benchmark against the previous sale of a 30 year old Sherry Hogshead Cask from Macallan Distillery 1987, which sold for HK$2,928,000 (US$373,800 / £292,200) at Spink auction house in October 2017. 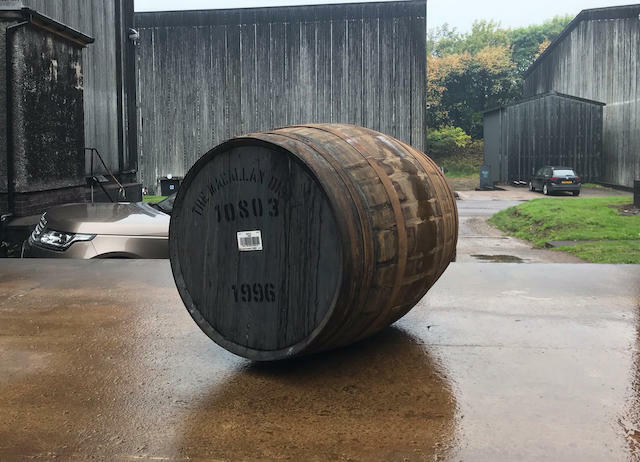 Cask 88 advised last year’s sale of the Macallan Sherry Hogshead and are content to concede the record to another spectacular cask of Macallan whisky. The record breaking Macallan American Hogshead Cask is currently stored at the Macallan Distillery in Easter Elchies, Craigellachie. 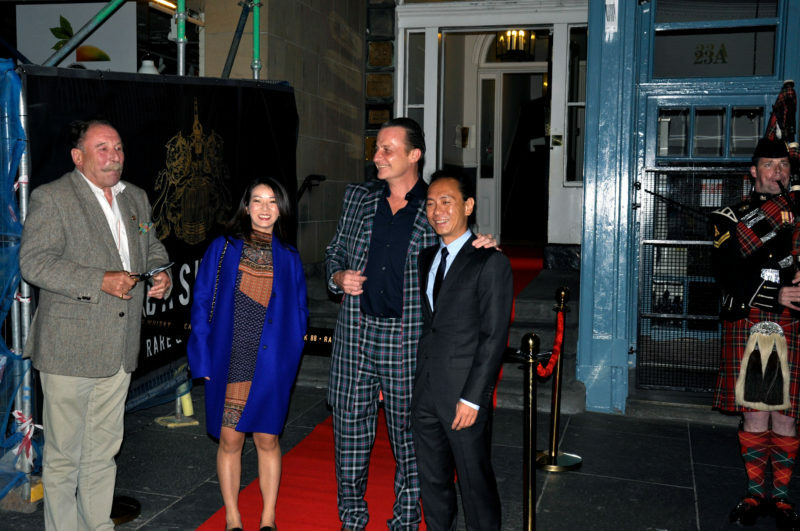 Daniel Lam visited Scotland in September 2018 to personally view the cask at the Macallan Distillery in Craigellachie, stopping off to cut the ribbon at the opening ceremony for Cask 88’s private Single Cask Tasting Room in central Edinburgh. This Hong Kong sale was Bonhams largest to date, with more than 1,100 lots, bringing in a ‘robust total’ of HK$41, 219,168 (US$5,263,862/ £4,099,553) with 77% sold by lot and 87% sold by value. Other notable whiskies in the lot include: a bottle of Karuizawa 1960 52 year old (#5627), possibly the oldest ever expression of Karuizawa whisky, sampled and kept by Mr Osami Uchibori, former malt master at Karuizawa Distillery, which sold for HK$1,837,500 (US$234,568 / £ 183,359) against an estimate of HK$1,000,000 – 1,400,000; and a bottle of Laphroaig 1970 14 year old (#4367) from Italian independent bottlers Samaroli, which sold for HK$ 490,000 (US$62,551 / £48,895), against an estimate of HK$20,000 – 26,000. Looking for your own headline-making cask of fine Scottish whisky? Start your journey towards owning your very own cask of Scottish whisky with Cask 88’s expert team. Find your ideal cask with a private Scottish whisky tasting at our premises in central Edinburgh, then be guided through all stages of maturation, branding and bottling. Email info@cask88.com or call +44 131 226 7048 to book your complimentary tasting and cask consultation today. This entry was posted in Cask Whisky, Scotch & Bourbon, Whisky Casks and tagged Auction, Bonhams, Cask, casks, Macallan, Scotch Whisky, Scotland, Scottish Whisky, whisky, Whisky Auction, whisky casks.